Embassy of the Republic of Yemen: We presented cotton sheeting for the painting. 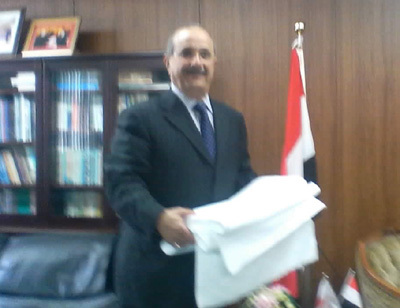 Embassy of the Republic of Yemen: We visited Embassy of the Republic of Yemen and presented cotton sheeting for the painting to Ambassador Extraordinary & Plenipotentiary His Excellency Marwan Noman. Embassy of the Republicof Yemen: we had an honor of meeting the Ambassador Extraordinary & Plenipotentiary H. E. Mr. Marwan Noman.